Hard water removal and window restoration can save you hundreds and even thousands of dollars by fully restoring your glass instead of replacing your glass completely. Hard water build up over time can permanently damage your homes glass panes. Don't let this happen to your home's windows. Using professional grade chemicals, we can safely and quickly remove even the toughest hard water stains with our world class service.
" The work was excellent and I would recommend Camelot wholeheartedly " -Peggie M.
" They were friendly people and left very clean windows " -Martha S.
" Their prices are very competitive and I recommend their services very highly " -Janis T.
" It was a pleasure having you in our home, and we are enjoying our view now " -Steven W.
When hiring a glass washing company to clean your home's glass there are a few important things you should know. You'll want to find out if the company's staff is background checked, drug tested, friendly and will give all around care to your home and your belongings. We know that many of your home's items are expensive and or have a large sentimental value to you, so we take the utmost care and concern for everything in your house. 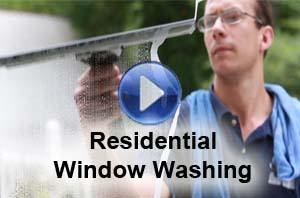 No one wants to overpay for residential window washing service. Making sure you know your price before you schedule is important if you don't want to have sticker shock when it's time to pay for your service. 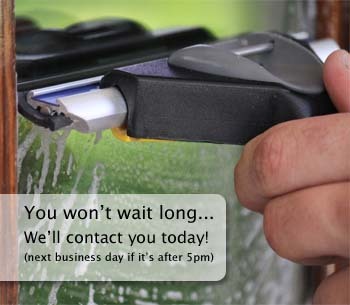 A professional glass washing company should be using high-quality products and washing techniques that produce those sparkling expert results. We are proud of our reputation, and we take every effort to care for your home and your furniture while we're washing your windows. If we need to move anything during the service, we'll be sure to put it back when were finished. Attention to detail is a huge part of being a professional in our industry. Each one of our employees is trained to look for potentially fragile items. Heavy furniture is another concern that we have addressed upfront so that when we come across it, our technicians know to ask a fellow for help instead of trying to lift it by them selves and ending up getting hurt, or dropping the furniture and breaking something precious to the home owner. 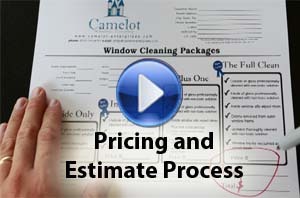 Our service packages are great for everyone on a budget or for those of you who are looking to give your windows the royal treatment. We even have packages starting at just $39! 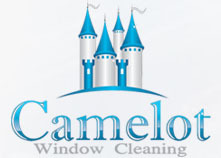 Camelot service cleaners use high quality washing products and professional tools along with years of experience to deliver stunning, streak free results. Enter your e-mail to receive our newsletter and special offers. Copyright © 2013 Camelot Enterprises CORP. All Rights Reserved.